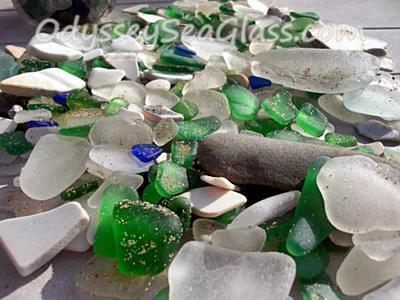 Inverness is a small mining town that is a beautiful spot for several colors of sea glass. I found orange this year. 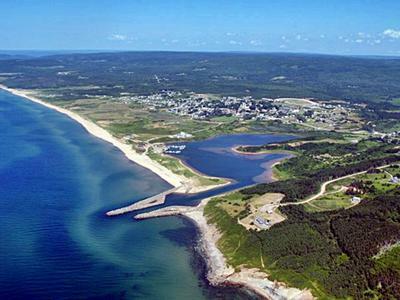 The town of Inverness, Nova Scotia, is located on the west shore of Cape Breton Island fronting the Gulf of St. Lawrence. Established in 1904, the community originally began as a coal mining town. When large-scale coal mining ended, the town went through a period of depression. Now, the main industries in this community are fishing and tourism. It is a delightful area to visit. I've been coming to this beach for 10 years and the amount of glass and pottery is amazing. Take time to cross the river when safe and just listen to the waves and relax! Only take the amount of glass that you will use. Leave some for others to enjoy. I've found several red, mauve,orange, bright yellow,many shades of blue,grey, turquoise,amber,marbles a well frosted moss bottle stopper, many old pottery with flowers or letters. PLEASE TAKE YOUR GARBAGE BACK WITH YOU! ENJOY!! I was just at this beach for a morning of beachcombing, hoping for an elusive red piece of glass (unsuccessful). I was disgusted to see a man with a rake, and bags of glass, grabbing glass right beside me! I unknowingly met his wife down the beach, who was bragging about taking home 35 pounds of glass from her previous trip! People like this ruin great places for everyone else! And she had the nerve to complain about people coming from the States taking her glass! Also, it is called Inverness Beach, not Walkers beach. I have been going to Inverness beach since I was a kid, and we always walked and collected sea glass, but now there are so many people combing the beach, and they don't just take a special few but buckets of glass... it is no fun any more. Just take a few beauties, not the whole beach! Just got back from a driving tour of Nova Scotia and Cape Breton and was disappointed to find only one piece of sea glass the entire ten days! Apparently we didn't look in the right places. Having just returned from Cape Breton to Ontario 1 week ago, was amazed and surprised at the amount of beach glass that my partner and I found on the beach at Inverness. It was hard to stop looking, as we had to continue on that day. What a beautiful beach and I hope to be back some day soon. 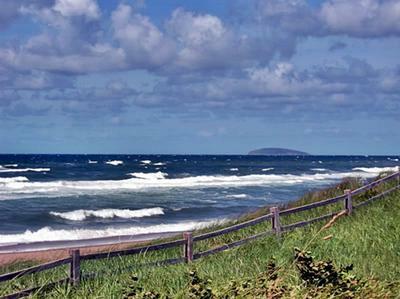 I've been to Cape Breton twice before to do the Cabot trail, it was beautiful, and so was Inverness. 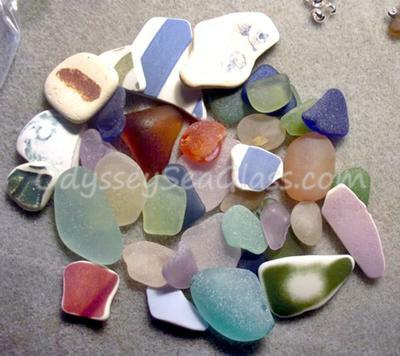 I wasn't a avid seaglass hunter back then, but now i would love to return to comb the beaches there. I guess a third trip is in the future. I'd love to visit the area. I imagine the beachcombing is wonderful with all those waves rolling in depositing "treasures".